Abigail Breslin (Little Miss Sunshine, Signs, Rango) returns this Winter with her latest film. She stars in IFC Midnight’s new horror story, Haunter in which she plays the part of a spirit of a girl named Lisa. The film co-stars veteran actor and director Stephen McHattie (300, Watchmen, The Fountain) Eleanor Zichy (Skins), Peter Outerbridge (Silent Hill: Revelation), Michelle Nolden (RED) and David Hewlett (Rise of the Planet of the Apes). In this new “reverse ghost story”, Breslin plays the spirit of a teen girl named Lisa whose family was killed by a mysterious figure in 1986. Now over three decades after Lisa and her family were killed, Lisa must convince her family that they are no longer among the living. Making things even more interesting, a new family has moved into the house that was once home to Lisa and her family. Now this new family faces the same danger that led to the death of Lisa and her family. So Lisa must do whatever she can to protect the new family living in the house. Directed by Vincenzo Natali (Splice, The ABCs of Death 2, Cube) and co-written by Brian King and Matthew Brian King, this movie is sure to impress fans of movies the likes of: The Lovely Bones, The Others, and Insidious). Haunter will be available on DVD and Blu-ray via MPI Media Group and IFC Midnight on Tuesday February 11th. The DVD will be available for SRP of $$29.98. 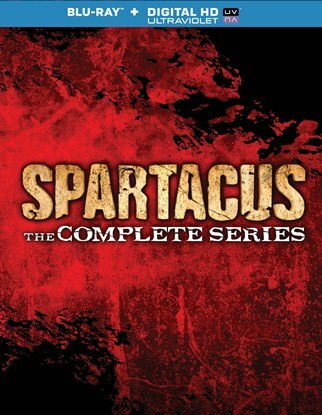 The Blu-ray presentation will be available for SRP of $24.98. The trailer for the movie can be viewed online at http://www.ifcfilms.com/uncategorized/haunter-trailer. The DVD and Blu-ray can be ordered online via Amazon at http://www.amazon.com/Haunter-Blu-ray-Abigail-Breslin/dp/B00FYV7W9W/ref=sr_1_1?s=movies-tv&ie=UTF8&qid=1390420977&sr=1-1&keywords=Haunter. To keep up with the latest sports and entertainment news and reviews, go online to http://www.facebook.com/philspicks and “Like” it. Fans can always keep up with the latest sports and entertainment news and reviews in the Phil’s Picks blog at https://philspicks.wordpress.com. 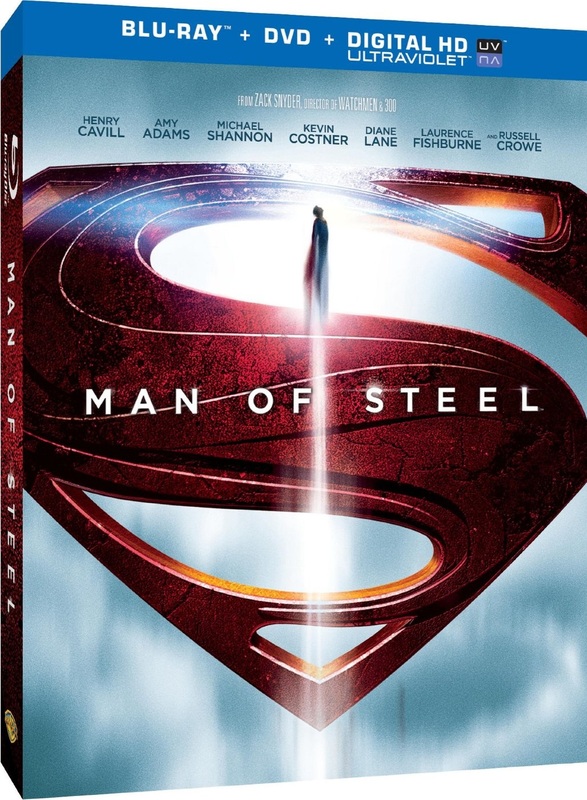 Man of Steel was one of the most highly anticipated movies of 2013. However, in the days following its premiere, neither the critics nor the fan boys and girls were overly kind to the movie. Each had their own reason for disliking the movie. Superman is without a doubt the single most iconic name in both the world of comic books and of movies based on comics. The major problem with this new take on Superman’s origin story is its writing. There is much to be said there. Just as problematic with this movie is its new home release. A simple change could have been made with the packaging to make it better. But Warner Home Video didn’t even take that simple step, serving only to shoot itself in the foot so to speak. Man of Steel had its share of problems, obviously. In its defense, it did have at least some positives. One of those positives was the acting on the part of Henry Cavill and Michael Shannon. Also to the movie’s benefit is the collective bonus features included in its home release. The bonus features included in the movie’s home release are extensive to say the least. But there are two that stand out among the others. They will be noted at a later time. That bonus material along with the acting of Cavill and Shannon are the movie’s saving graces. They balance out the whole presentation and make it worth at least one watch by any fan boy or girl of the original boy in blue. Man of Steel wasn’t a terribly awful movie. It isn’t even one of the worst of the year. But thanks to its writing, it is also not one of the year’s best, either. The writing behind Man of Steel is plagued with problems. The most obvious of those problems lies the unbalanced character development and action elements. Goyer and Snyder spend too much time both developing the movie’s backstory and on the conflict between Superman and General Zod. Viewers didn’t really need as much of an in-depth look at Krypton as they got. Given, it was good ot have a story of how Krypton met is untimely end. But the constant transitions between Clark’s boyhood and his adult life were messy and unnecessary. Rather than setting specific transition points, the story—written by David S. Goyer (The Dark Knight Trilogy, The Blade Trilogy, DaVinci’s Demons) and Zach Snyder (300), jumps back and forth between the present and Clark’s past at will. The obvious attempt here was to fill in the gaps of Clark’s childhood without bogging down the overall story. Goyer and Snyder are to be commended for making the effort. But the end result was in fact that it caused the story to do just what they were attempting to avoid. It’s just one part of what makes the movie’s writing problematic. The movie’s dialogue is another problem with the writing. It gets pretty campy at some points. One of the worst of those moments comes when General Swanwick (Harry Lennix—Ray, The Matrix Revolutions, State of Play) states of Zod and his ship in its first sighting, “Whoever is piloting that ship plans on making a dramatic entrance.” If ever there was a cheesy line, that line is it. It’s a—pardon the term here—John Madden “no duh” type of statement. And it’s just one of many really cheesy lines thrown in throughout a movie that otherwise tries pretty hard to be taken seriously. The end result of Goyer and Snyder’s writing definitely caused its own share of problems for Man of Steel. Now that the movie has been released to DVD, Blu-ray, and combo packs, it suffers from one more problem. That problem is the movie’s packaging. The discs included in the Blu-ray/DVD/VUDU combo pack were stacked on two spindles. 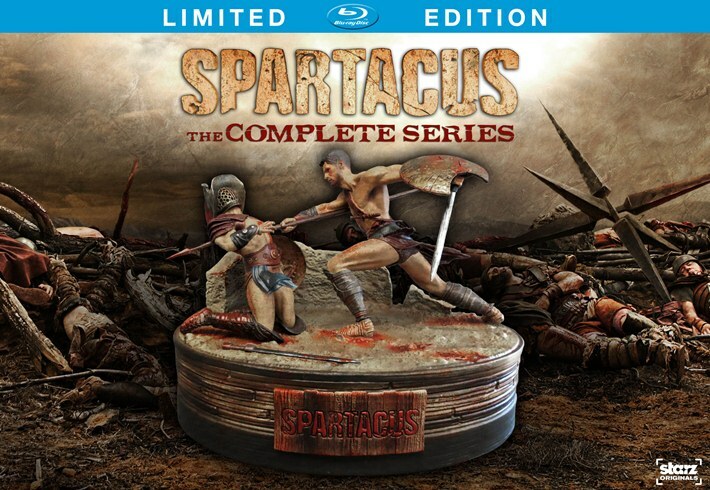 The primary disc containing the movie and primary bonus features was stacked on top of the set’s second disc containing the remaining bonus material. There is nothing between the discs to protect them from one another. The set’s third disc however, is set on its own spindle on the right inside side of the set’s case. Why the people at Warner Home Video did not just include an extra plastic insert on which it could have placed either of the first two discs is questionable to say the least. But it definitely takes away even more from the movie’s overall presentation and hurts the overall product in the long run. Man of Steel had its share of problems, as one should be able to tell by now. But it wasn’t without its positives, either. The acting on the part of Henry Cavill and Michael Shannon was the most praiseworthy of the movie’s positives. Shannon might not have exactly had the look of Terence Stamp’s Zod. But he more than made up for that with his acting. He is brutal, cold, and calculating. Yet in his own eyes, he doesn’t see himself as a villain. And Shannon (Take Shelter) expertly translated that personality style, too. He made Zod’s character fully believable with his portrayal. In the same vein, Cavill’s brooding nature as he attempts to come to terms with his powers and how he fits in with his world is just as believable. He presents Kal-El as not so much the “god” type of figure but as being just as flawed as a human. Much has been said of how he handles Zod at the end of their final battle. What many people don’t seem to remember is that he shows real emotion at what unfolds. It’s another example of what makes this Superman just as much a sympathetic character as any others previously portrayed on the big screen. The acting on the part of Cavill and Shannon are collectively Man of Steel’s saving grace. Both men are entirely believable in their roles. Their acting is just one of so many aspects of the movie discussed in depth in the bonus features included in its home release. Just as interesting to note in the bonus features is the fact that the crew went to every measure to make sure the cast was able to do its own stunts. Audiences will see the rigorous workout regimen through which the primary cast members were put in order to be fit enough for that task. To see actors and actresses doing their own stunts in the place of stunt doubles is something very rare in today’s movie industry. For that reason alone, the movie gained a new respect at least by this critic. Of course, it is only one of the extras that makes the movie even more worthy of a watch now that it has been released to DVD and combo pack. The bonus “commentary” included in the second set of special features is the highlight of the movie’s bonus features. It too is something that especially today, viewers don’t see much of, if at all. The second disc included in the Man of Steel Blu-ray/DVD/VUDU combo pack includes a special second screen commentary that is a bonus feature in every sense of the term. This second screen feature is something that today is typically reserved only for those with tablets, iPhones, etc. Yet here, anyone with a Blu-ray player can watch this bonus hybrid commentary. It includes not just audio commentary, but visual, too. Audiences get to hear and see from the cast and crew while watching the movie. They can even watch the making of the movie all at the same time. It brings everything full circle for viewers whether viewers are seeing the movie for the first time, the fifth or more. It still doesn’t make Man of Steel one of the best movies of the year. But with the movie’s other positives, it makes the movie one of the best home video releases of the year. It is available now in stores and online at http://www.wbshop.com/search.do?query=Man+of+Steel. To keep up with the latest sports and entertainment reviews and news, go online to http://www.facebook.com/philspicks and “Like” it. Fans can always keep up with the latest sports and entertainment reviews and news in the Phil’s Picks blog at https://philspicks.wordpress.com.